Malaysia Airlines has been a winner of the Leading Airline award at the World Travel Awards for the last four consecutive years. Malaysia Airlines is the national carrier for Malaysia and serves as one of Asia's largest with over 330 flights to close to 60 destinations daily. Since 2013, Malaysia Airlines has been a member of one of the strongest and most competitive airline alliances in the world, Oneworld. 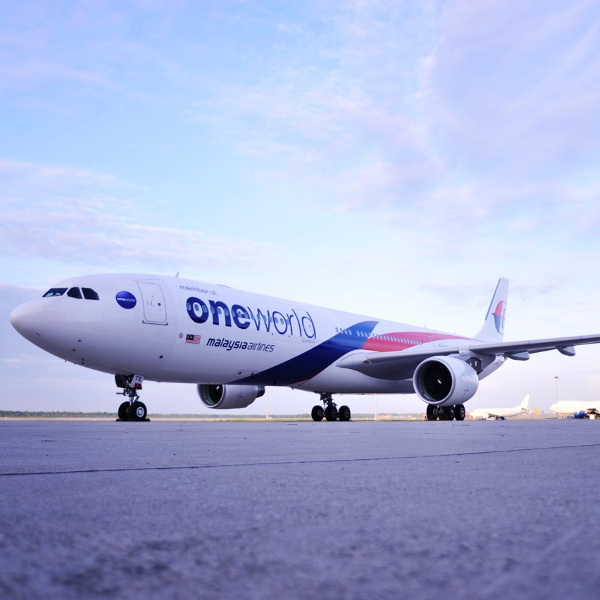 Malaysia Airlines has been a proud member of the Oneworld airline alliance since 2013. The airline first took to the skies over 70 years ago, in 1947 as Malayan Airways Limited. However, due to Singapore’s independence in 1972 the carrier’s assets were split to form Singapore Airlines and Malaysian Airlines. 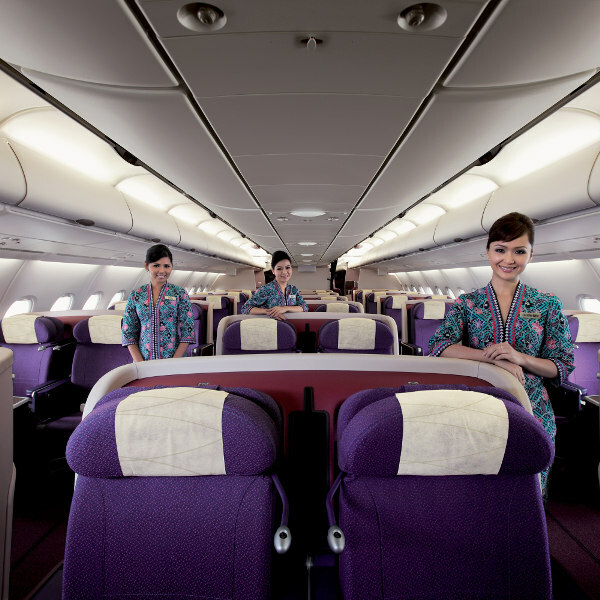 Book Malaysia Airlines flights to Kuala Lampur, Bangkok, Denpasar and other exciting destinations! Over the counter: closes 45 minutes ahead of flight departure at Kuala Lampur International Airport, and 60 minutes ahead of flight departure at other international airports. Self-service kiosk: opens up 48 hours, and up to 60 minutes ahead of flight departure. All Malaysia Airlines aircrafts in its fleet offer Economy and Business Class, while First Class is an option reserved for travellers using the Airbus A380. First Class is only available on selected aircraft which service all routes to London Heathrow. Important to note is that Malaysian Airlines does not allow infants and babies in First Class. Previously known as the Golden Club, this cabin class is available on all aircraft in their fleet flying internationally and regionally, with seating arrangements having a slight differentiation from aircraft to aircraft. Offered to all passengers flying internationally and regionally. 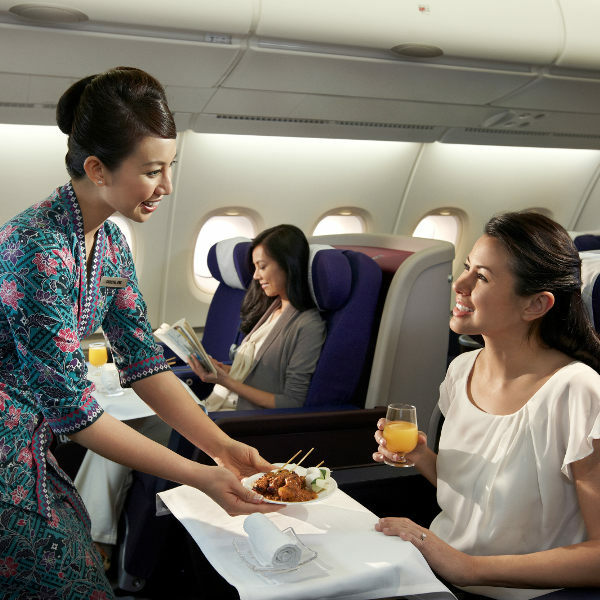 Malaysian Airlines' Economy Class was voted the World's Best Economy Class at the World Airline Awards by Skytrax. Malaysia Airlines operates a massive fleet of 86 aircraft from its base of operations at Kuala Lumpur International Airport, while also having secondary hubs in Kota Kinabalu and Kuching. The airline services more than 60 destinations in Asia, Europe and Oceania.